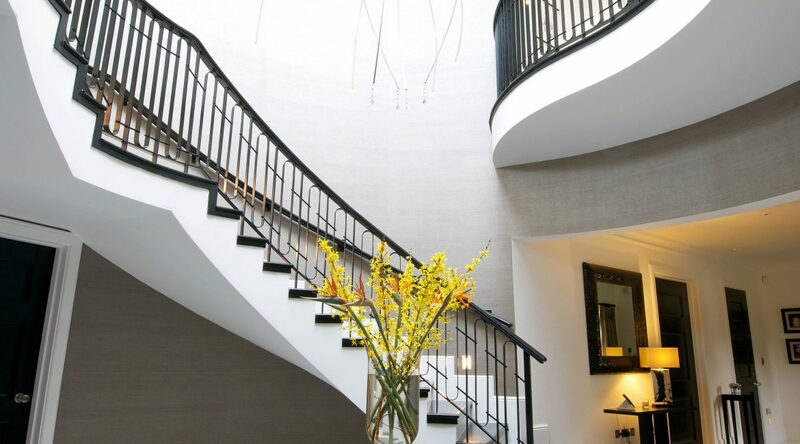 The existing bar room of this exiting family home in Hale / Bowdon, Greater Manchester was very bare and almost clinical but provided a blank canvas. 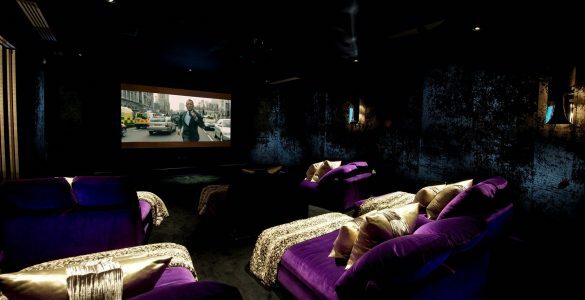 The cinema had poor acoustic qualities due to the hard surfaces and lighting was on a basic grid with no relationship to the furniture arrangement. 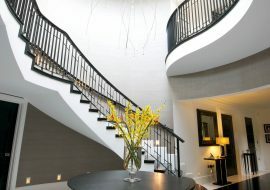 The two rooms needed a significant face lift and bringing together as a relationship with each other. 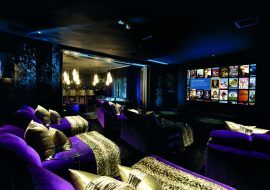 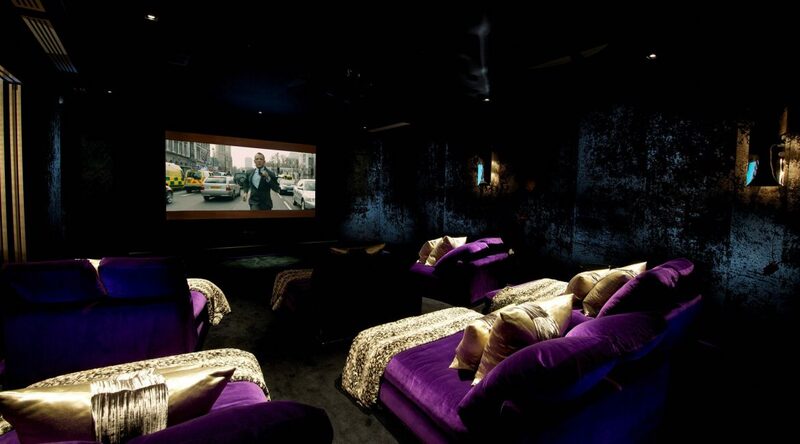 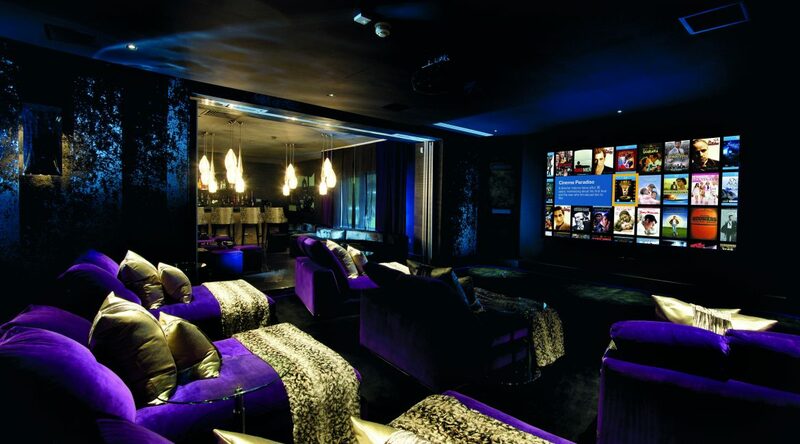 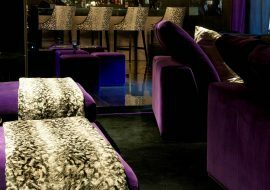 To create a family friendly, atmospheric and sumptuous cinema space that provided a dramatic backdrop to a bar for entertaining. 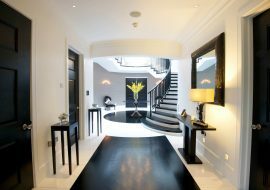 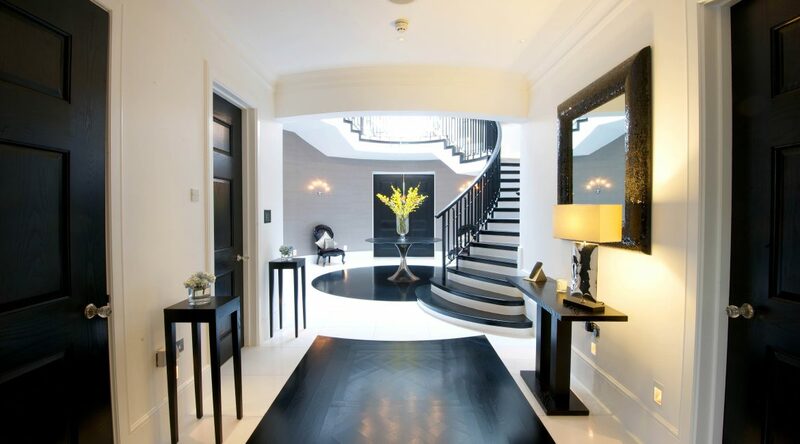 The two rooms needed to flow and be comfortable for use as a family as well as glamorous enough for fabulous adult entertaining. 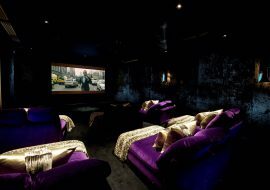 The walls to all of the cinema were upholstered in a black crushed velvet, stitched seamlessly around sockets and switches. 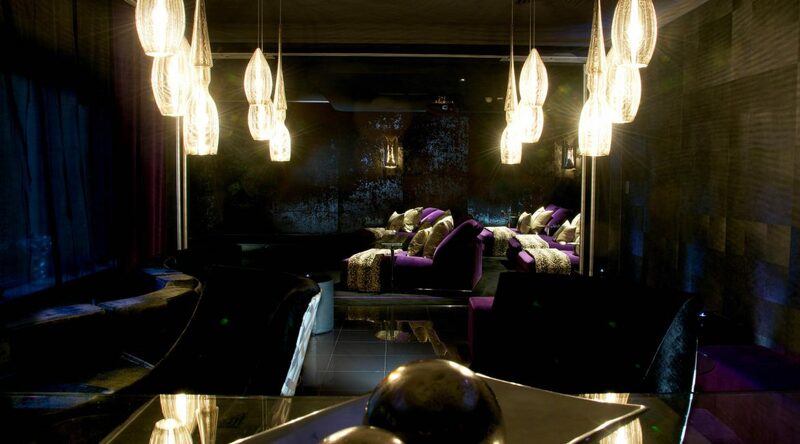 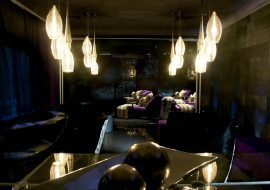 The lighting was reconfigured to provide striking wall lights by Porta Romana that flanked the room whilst individual pin spots illuminated each of the lavish daybeds. 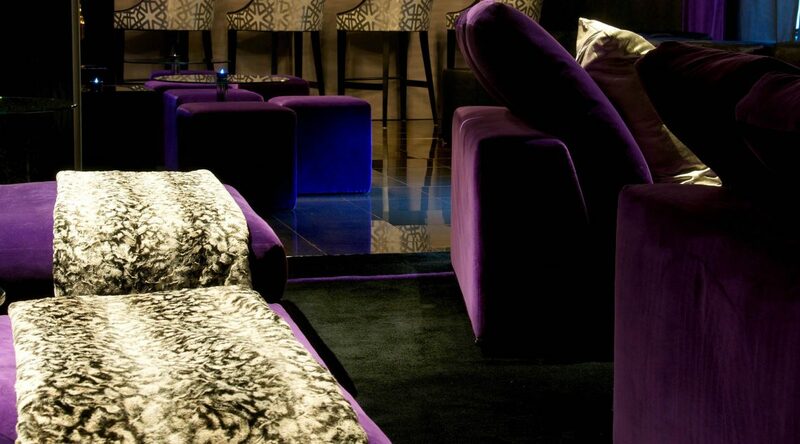 Faux fur throws provided for a cosy sense of escapism in which to enjoy the intensity of the audio visual experience. 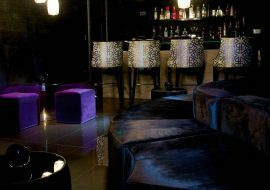 The bar was designed with clustered seating areas providing fabulous social opportunities for groups of friends. 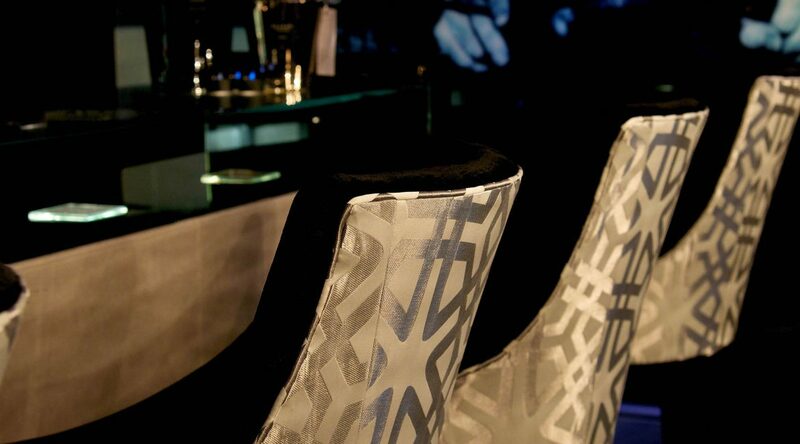 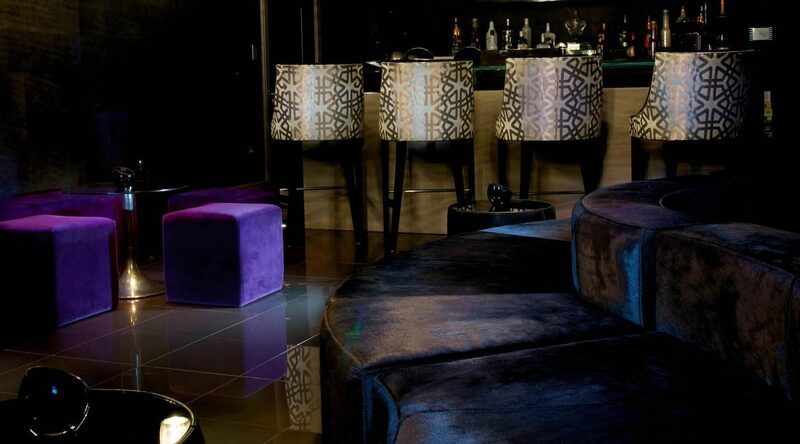 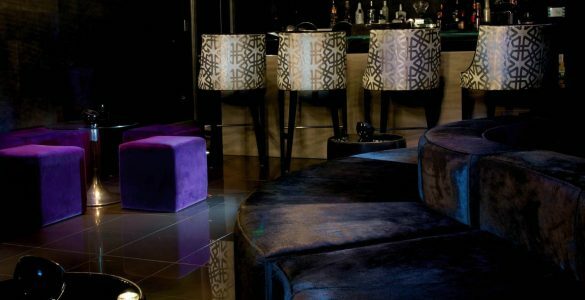 The dark theme, emblazoned with colour in the wall art and bar stools provided for a unique and punchy mood. 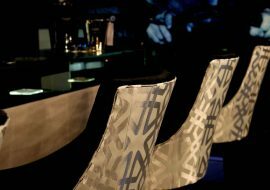 The design of the bar counter and back bar display draws guests in to the central space, providing lavish comfort and all the ingredients of a perfect party night.